(Nanowerk News) Gold nanoparticles serve as catalysts for obtaining valuable chemical products based on glycerol. 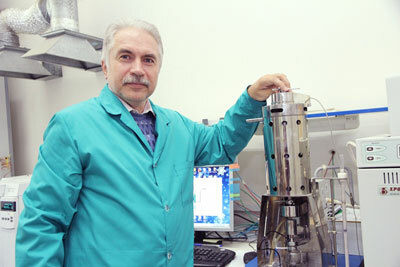 Scientists from Tomsk Polytechnic University and their international colleagues are developing gold catalysts to recycle one of the main byproducts of biofuel production. The obtained products are in high demand in medicine, agriculture, cosmetic industry and other sectors. The research outcomes have been published in Current Organic Synthesis ("More Insights into Support and Preparation Method Effects in Gold Catalyzed Glycerol Oxidation").